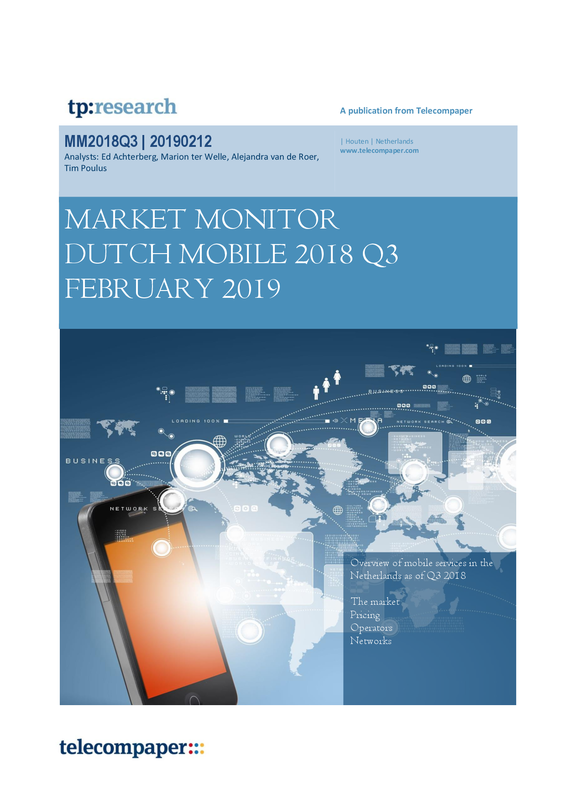 The Dutch Mobile Monitor provides a comprehensive overview and analysis in every respect of the mobile market. 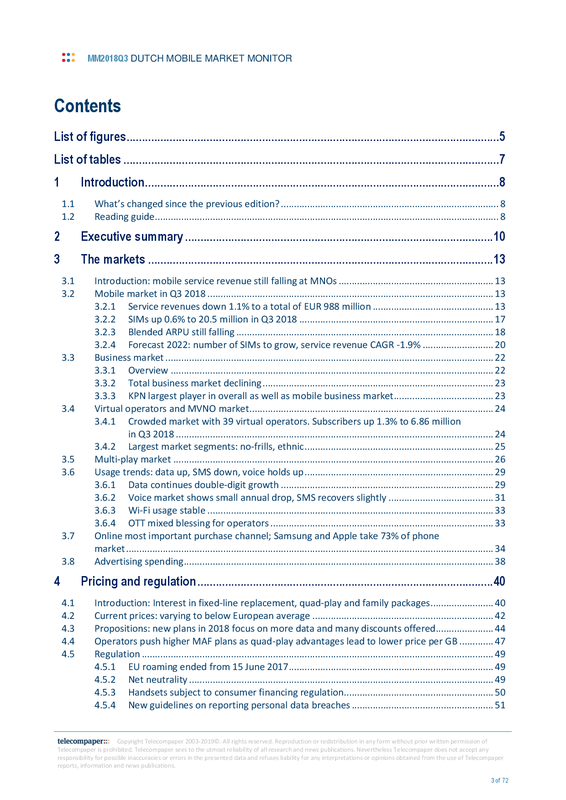 The report focuses on the mobile services market, both from the network operators and the virtual service providers, as well as networks and portfolios. The market is discussed, both in terms of usage, market shares, subscribers, etc. and in terms of providers, strategies and corporate actions. 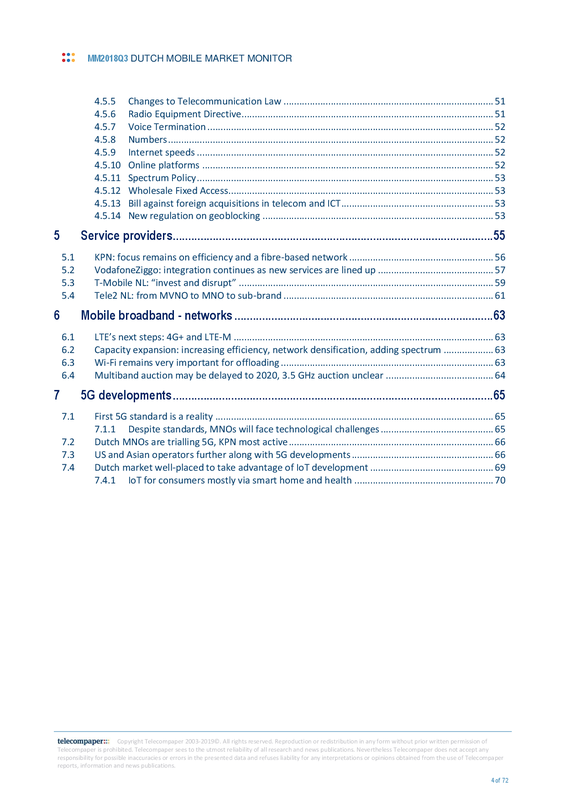 The network point of view is represented by an overview of the developments around LTE, WiFi and wireless broadband for rural solutions as well as 5G developments. The services market is discussed, both the traditional operator portfolios and over-the-top services, as well as the growing importance of fixed-mobile convergent plans. The providers' strategies and Q3 2018 financial results are analysed. 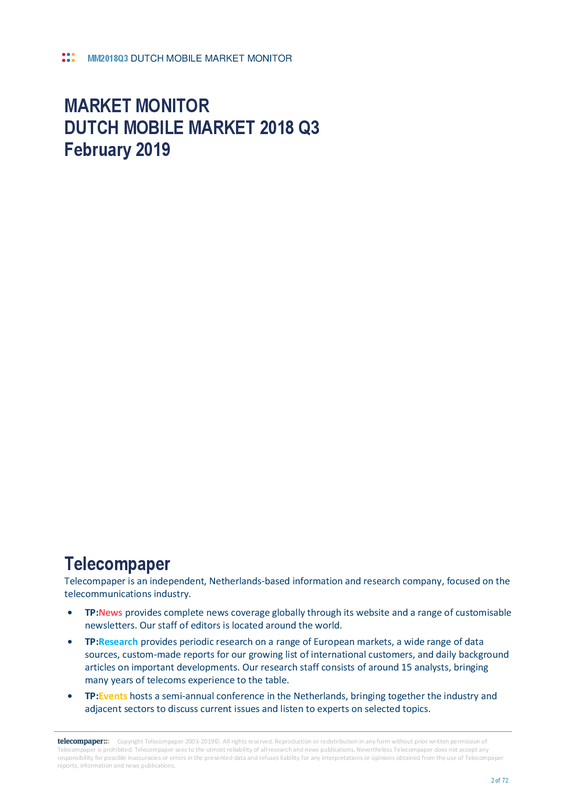 The report provides insights into company strategies and market forces, such as the significance of LTE, WiFi and streaming services for the mobile data market. It helps understand the dynamics between the MNOs and the MVNOs, and between the mobile service providers and the OTT providers.